Voted number 1 party bus hire company in Ireland. 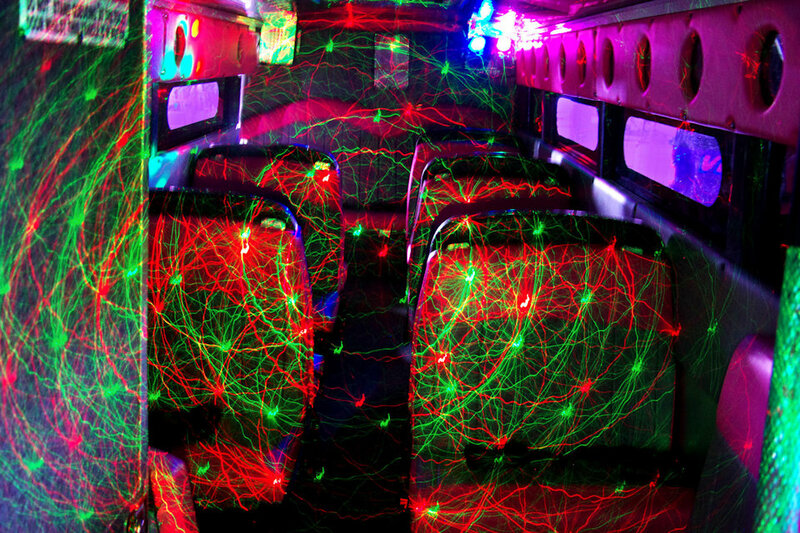 Party Buses Ireland has everything you need to get your party started! 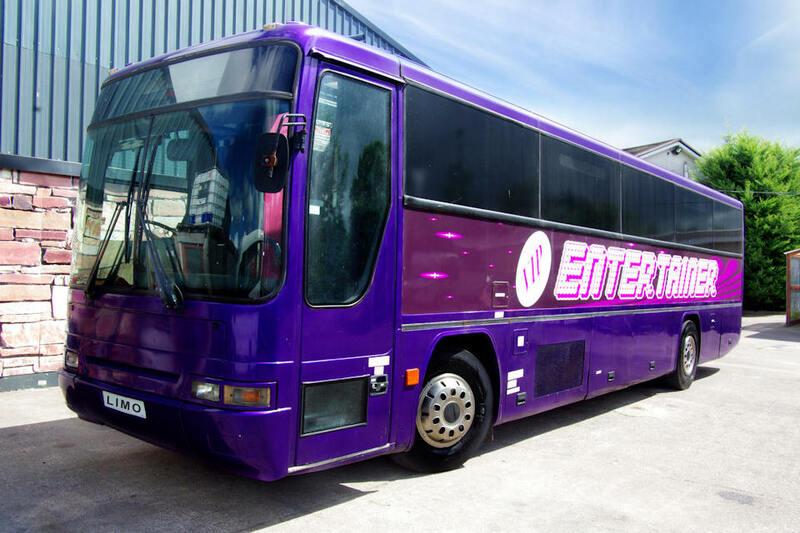 With a fleet of over 15 party buses ranging from 16 seaters to 59 seaters, Party Buses Ireland have the party bus, boogie bus or karaoke bus to suit your requirements. 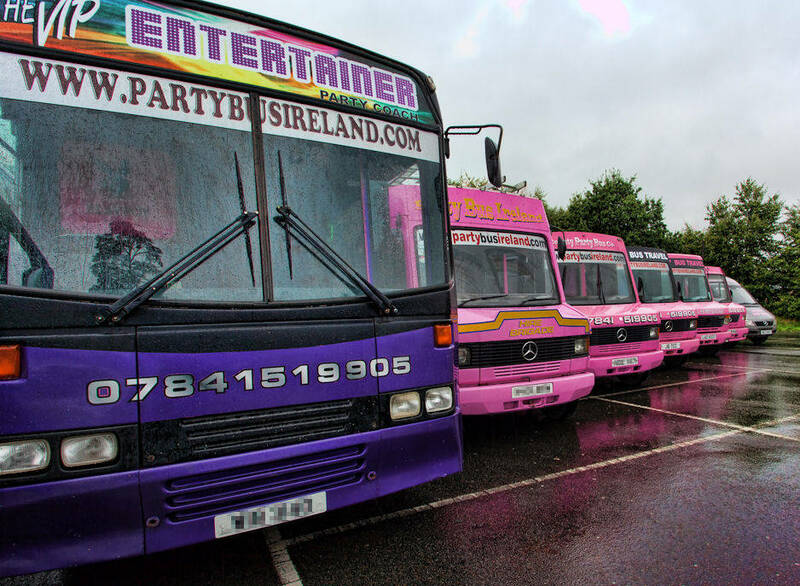 We have the largest party bus fleet in Ireland, and there are more party buses being added to the fleet very soon. Standard coaches are also available to hire. Party Buses Ireland cater for every occasion... birthday parties, nights out, school formals, stag dos, hen dos, weddings, staff parties, corporate transportation, guest arrivals. We go all over Ireland - North and South - with our party buses & coaches; Belfast, Galway, Dublin, Drogheda, Dundalk, Newry, Punchestown, Monaghan, Ballymena, Cookstown, Dungannon, Magherafelt, Omagh, Lifford, Sligo, Carrick-On-Shannon, Donegal, Derry/Londonderry, Mayo, Maghera, Strabane, Limavady, Dungiven, Letterkenny, Coleraine, Portrush, Portstewart, Ballycastle, Castlederg, Armagh, Portadown, Lurgan, Lisburn, Banbridge, Carrickfergus, Enniskillen, Bangor, Newtonards, Newtownabbey, Dromore, Lisnaskea, Athlone, Westport, Castlebar, Mullingar, Kilkenny, Cork, Tralee, Killarney. Name the place, we've been there! On each party bus you'll find LCD screens, karaoke, DVD player, laser plasma & strobe lights, on board toilet, smoke machine, dance floor, state of the art sound system that will blow you away! Each party bus comes with a friendly onboard courier to help you enjoy your experience and provide security for extra peace of mind, so you're in safe hands with Party Buses Ireland! Our fleet of party buses is like nothing you've experienced before - our party buses are bigger, wider & taller than the competition. All our party buses are fully legal and insured. All our drivers and couriers are fully licensed and security checked. Saturday night club deals for Northern Night Clubs including queue jump and VIP Access.